With Helty Flow, the air in your home is always fresh, pleasant and purified. Helty Flow guarantees perfect ventilation whilst preventing the dispersion of energy caused by opening the windows. 4 reasons that make it unique! 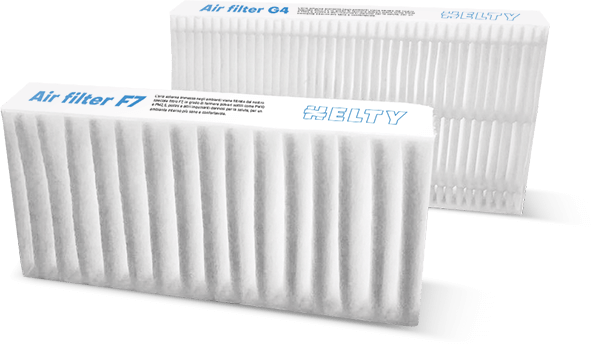 Thanks to the F7 pollen filter that purifies the incoming air, Helty Flow filters dust particles up to 6 times finer than PM2,5, to ensure perfectly healthy air. Helty Flow is produced entirely in Italy. 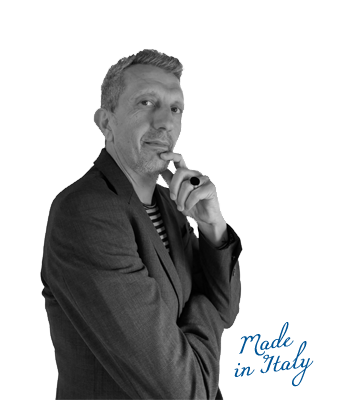 Designed by Massimo Broglio, it is elegant, compact, customisable and easily integrated into any environment. Choose between the different versions to find the one that is perfect for your home. 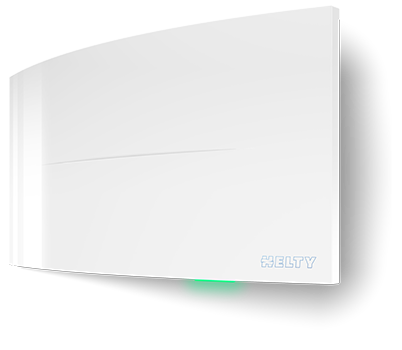 Helty Flow salvages 86% of heat produced from the air and warms the incoming air to really save you money. Helty Flow can be installed in less than an hour: two holes and a connection to the power supply are all that is needed, then it is ready to go. Did you know that many harmful substances, such as VOCs, radon and formaldehyde, are concentrated in the air in your home? Added to these are the smog and pollens that enter in from the outside, and the mould spores caused by humidity. Thanks to its special filter, Helty Flow purifies the pollen, dust and smog from the air. The air exchanger eliminates VOCs, formaldehyde, radon and excess moisture, preventing the formation of mould. You can finally breathe fresh, clean air that protects your health, even at night and without wasting energy. Find out which version of the Helty Flow is best suited to your needs. Jacopo and his family live in the city. They thought that the only way to enjoy fresh air was with weekend escapes to the mountains. But since they installed the Helty Flow Elite in the home, they have breathed wellness and health. Luke ’s house was infested with mould, a symptom of an unhealthy and humid environment. With Helty Flow Easy, chemicals are forgotten and the mould has disappeared forever. How does Helty Flow work? Helty Flow continuously replaces the air in the house, without the need to open the windows, eliminating internal pollutants and filtering the outside air from dust and pollen. Thanks to the two separate air exchange streams, the air is continuously renewed, the heat recovery is high and the exhaust air does not contaminate the fresh air flow in the inlet. 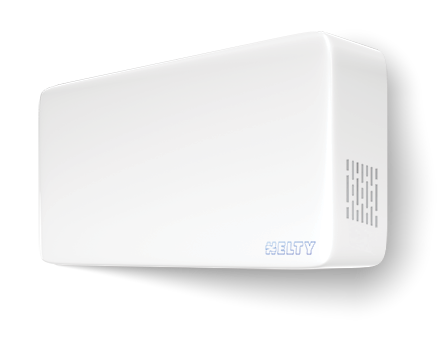 Helty is an innovative company dedicated to solutions for controlled mechanical ventilation with heat recovery. We are part of the Alpac Group, which has been designing advanced, energy-efficient window closing methods for 35 years. Our goal is to extend the culture of health and wellness to the home, with high-tech solutions and high energy savings.